Translated from the Swedish by Thomas Teal. 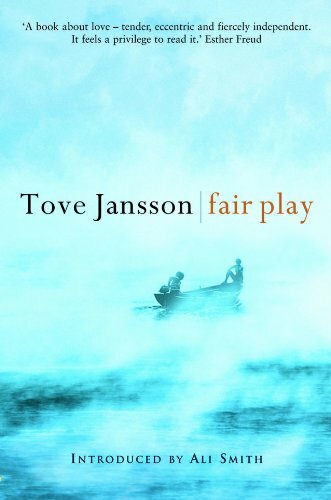 “So what can happen when Tove Jansson turns her attention to her own favourite subjects, love and work, in this novel about two women, lifelong partners and friends? Expect something philosophically calm – and discreetly radical. Its publication is cause for huge celebration.” Ali Smith, from her introduction to Fair Play. The writer and artist TOVE JANSSON (1914–2001) is best known as the creator of the Moomin stories, which have been published in thirty-five languages. However, from 1968, she turned her attention to writing for adults. Fair Play was her last novel, written when she was seventy-five. Sort of Books have also published Tove Jansson’s classic The Summer Book (2003) and A Winter Book: Selected Stories (2006), which draws from five collections to present the best of her short fiction. A charming, quietly radical and inspiring book, introduced by Ali Smith. First ever publication in English, in a translation by Thomas Teal.